As many as 9,900 members of Yazidi community have been "killed or kidnapped in ISIS genocide," yet the true scale of the genocide during the brutal sweep by the ISIS through Iraq may never be known as thousands remain in captivity, a study says. The study published in weekly journal PLOS Medicine concluded that an estimated 9,900 members of the ethnic minority were killed or captured, in a matter of days in August 2014, out of which 3,100 were murdered, with almost half executed by gunshot, beheading or being burned alive, while the rest died from starvation, dehydration or injuries during the Isis siege on Mount Sinjar, The Independent reports. The research has found that while adult men were most likely to have been executed by militants, almost all of the victims who died after fleeing up Mount Sinjar were children under the age of 15, the research found. Researchers have estimated that 6,800 other Yazidis were kidnapped in the brutal campaign, with over a third still missing at the time of the survey. 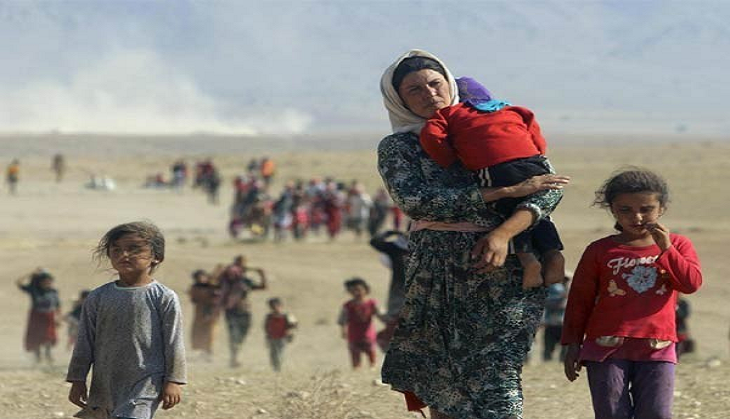 The study, conducted by researchers in the U.S., U.K., Israel and Iraqi Kurdistan, found that children have been disproportionately affected by the genocide. The United Nations formally recognised ISIS campaign as genocide in June 2016, citing the situation was "ongoing", but a lack of formal research on the death toll has hampered international action. The UN said "there can be no impunity" for the crimes and urged the Security Council to refer the case to the International Criminal Court or a tribunal.